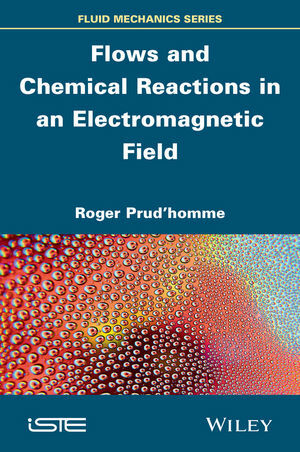 This book - a sequel of previous publications ‘Flows and Chemical Reactions’, ‘Chemical Reactions Flows in Homogeneous Mixtures’ and ‘Chemical Reactions and Flows in Heterogeneous Mixtures’ - is devoted to flows with chemical reactions in the electromagnetic field. The first part, entitled basic equations, consists of four chapters. The first chapter provides an overview of the equations of electromagnetism in Minkowski spacetime. This presentation is extended to balance equations, first in homogeneous media unpolarized in the second chapter and homogeneous fluid medium polarized in the third chapter. Chapter four is devoted to heterogeneous media in the presence of electromagnetic field. Balance equations at interfaces therein. The second part of this volume is entitled applications. It also includes four chapters. Chapter five provides a study of the action of fields on fire. Chapter six deals with a typical application for the Peltier effect, chapter seven is devoted to metal-plasma interaction, especially in the Langmuir probe and finally Chapter Eight deals with the propulsion Hall effect. Are given in appendix supplements the laws of balance with electromagnetic field and described the methodology for establishing one-dimensional equations for flow comprising active walls as is the case in some Hall effect thrusters. Roger Prud'homme has been Emeritus Research Director at CNRS, in France, since 2004. His most recent research topics have included flames (premixed flame modeling and their behavior in microgravity), two phase flows (droplet combustion with condensation of the products, sound propagation in suspensions, vortex, shock wave structure) and the modeling of fluid interfaces. He has published 5 books, 7 contributions to volumes and 50 publications in international journals.